For one of transport’s strangest-ever incursions into wider culture, come back with me to 1986, to the Apollo Victoria theatre in London’s West End theatreland. The lights inside the theatre have just dimmed right down, the audience for this afternoon matinée performance (it’s a full house) have just hushed. In the audience is a 10-year-old child – that’s me. The music starts, the lights come on, and on to the stage rush dancers, all of whom are on roller skates and dressed in brightly coloured bulky costumes. They race around the stage, climbing up to and dropping down from upper levels of the stage set, dancing as they go. They rush right through the audience stalls, on special looping extensions of the stage, as though on a catwalk at a fashion show. And, most importantly, they’re pretending to be…trains. I can tell you now that I was utterly transfixed from the moment the show started. This was the musical Starlight Express. I’d actually been given the day off school, at a time when the odd cultural trip out with your family was permitted at your teacher’s discretion, unlike today. And seeing Starlight Express was certainly as odd as cultural trips came. The musical was the creation of multiple-musical impresario Andrew Lloyd Webber (he of The Phantom of the Opera, Cats, and Joseph and His Amazing Technicolour Dreamcoat, to name but a few) and lyricist Richard Stilgoe. The pair had originally wanted to mount a musical version of Thomas the Tank Engine, but there were issues around the rights and the planned storyline. That’s the kind of fact that I’d be entirely sceptical of were it only to be found on the pages of Wikipedia, but I can also remember it clearly from the liner notes of the double cassette cast recording of Starlight Express my family bought (oh yes, we had the cassette album; I think my sister’s got it at the moment), so it’s true. In the end, Webber (on music) and Stilgoe (on lyrics) invented their own story. It’s a classic tale of triumph over adversity, the no-hoper little guy taking on the world and winning. It’s pretty simple really. There’s a resident diesel locomotive called Greaseball who has his own song (sample lyrics “Camshaft rolling while the rockers rock / Hear me knock”), but your hero is the down-on-his-luck Rusty the steam locomotive, who gets his own song too (sample lyrics “Nobody can do it like a steam train”), and there’s a whole bunch of freight and passenger wagons for the locomotives to pull, all with their own…well, you get the picture. The hauled stock have ace names like Dinah the dining car, Ashley the smoking car (she was dropped from later productions of the musical as smoking on trains went out of fashion), and Buffy the buffet car. The passenger fleet are all ladies, you see. The freight wagons are male however – “We take the loads / From off the roads / And freight is great” – and include Rocky I, II and III who are aggregates hoppers (obviously) and C.B.. The latter is a psychopathic caboose – that’s a guard’s van to those of us in Europe – who turns out to have been responsible for a series of train crashes. Bossing the trains around in the story of Starlight Express is the unseen ‘Control’, who dictates that all the trains are to take part in a series of races to establish the fastest train. Guest trains from around the world are invited, including Bobo the French train and Turnov the Russian train, plus a late entry, brand new electric locomotive Electra (also with his own song, in case you hadn’t guessed, including the lyrics “AC/DC, it’s OK by me” in an early and entirely unnoticed by me plea for tolerance around sexual orientation). Apparently, Control is a child and the world of Starlight Express is Control’s toy train set. This, I have to admit, completely passed me by in 1986, much as did Electra’s open approach to hauling trains consisting of female or male hauled stock. I think I was too amazed by the spectacle, or too young (I’ll leave you to work out which excuse is for which oversight). I assumed that Control was simply an autocratic leader, of which I had some experience being in school at the time. I’m not sure whether Stilgoe might also have had in mind the similarly autocratic Control of Le Carre’s Tinker, Tailor, Soldier, Spy, but there’s a definite similarity there, I reckon. A slot opens up in a later heat after the guest British train is unexpectedly scrapped. This was a reference to the Advanced Passenger Train (APT), a British Rail project to develop a high-speed tilting train for London-Glasgow services. The project had recently been scrapped while the trains were at prototype stage after a host of technical issues presented themselves. Having been unwisely launched with some fanfare whilst still effectively a test train, the unfortunate APT had to undergo its development under the media spotlight. Tilt failures, problems with its experimental hydro-kinetic brakes, and reported “tilt nausea” amongst passengers were gleefully reported in the press in what became almost a soap opera. The APT was ignominiously withdrawn from service in short order. It formed the basis of tilting train technology sold to and then developed by an Italian train manufacturer which was eventually sold back to Britain in the form of Virgin Trains’ Pendolinos for use on, you’ve guessed it, London-Glasgow services. But the media usually forgets to mention the APT’s export success. Anyway, in 1986 this was all fresh in the memory, so the moment where the British APT entrant is withdrawn from the races caused much hilarity in the theatre. Later productions replaced the character as the memory of the APT faded. Anway…the loss of the APT means that Poppa takes part in the race heat instead, winning but near-enough killing himself in the process. Rusty has to take Poppa’s place in the two-part final race, but after a poor showing in the first leg (he’s sabotaged by C.B.) he once again loses heart. A conversation with the Starlight Express soon causes Rusty to realise that he has the power of the Starlight Express within himself (who knew? ), and after the second part of the final he eventually emerges triumphant, showing that steam locomotives can hold their own against diesel and electric trains, not to mention that in so doing he wins the heart of Pearl, an observation car. It’s a proper gender-reversed Cinderella story really, albeit one that doesn’t bear a great deal of scrutiny in terms of real-world railway operating economics. All the locomotives pretty much get over their rivalries (bless), and tell Control to take a running jump the next time he/she/it tries to tell them what to do. Cue final song, endless curtain calls and so forth. The actors all sang, performed dance routines, and belted round the auditorium at top speed – all while on roller skates, you understand – forming trains by the expedient of each actor grabbing onto handles incorporated in the back of the train-inspired costume of the actor in front. The costumes, which incorporated train design elements, were (and indeed still are) as brilliant and as mad as everything else about Starlight Express. The technical accomplishment alone of the roller-skating/dancing actors in their heavy costumes, whatever your thoughts on plotting or overall concept, was really something. Anyone who has ever tried and failed to impress anyone at a roller disco will be able to confirm that. The choreographer was Arlene Phillips, later better known to British television audiences for her stint as a judge on the wonderful Saturday night television pro-am dance competition / feel good TV for winter evenings / glorious camp-fest Strictly Come Dancing. Starlight Express might all, on sober reflection, have been as mad as a box of frogs, but I’ll tell you what, everyone in that theatre was transfixed. 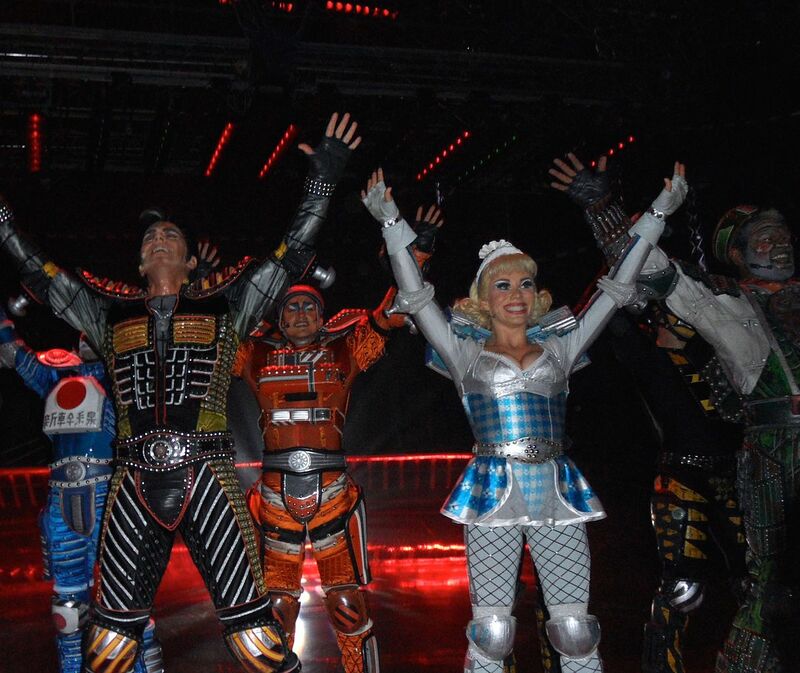 As a stage spectacle Starlight Express was second to none. I can still hum most of the songs to this day. Some people are a bit sniffy about the work of Andrew Lloyd Webber, whose work achieved that most unfortunate of attributes in Britain, popularity. But no-one in the Apollo Victoria that afternoon in 1986 was faking their enjoyment, or being sniffy about the spectacle they were watching. They loved it as much as I did. Starlight Express ran for 18 years in London (1984-2002), proof that people love transport even though they don’t know they do. It’s hard to imagine another industry that could so successfully be turned into the basis of a stage musical. 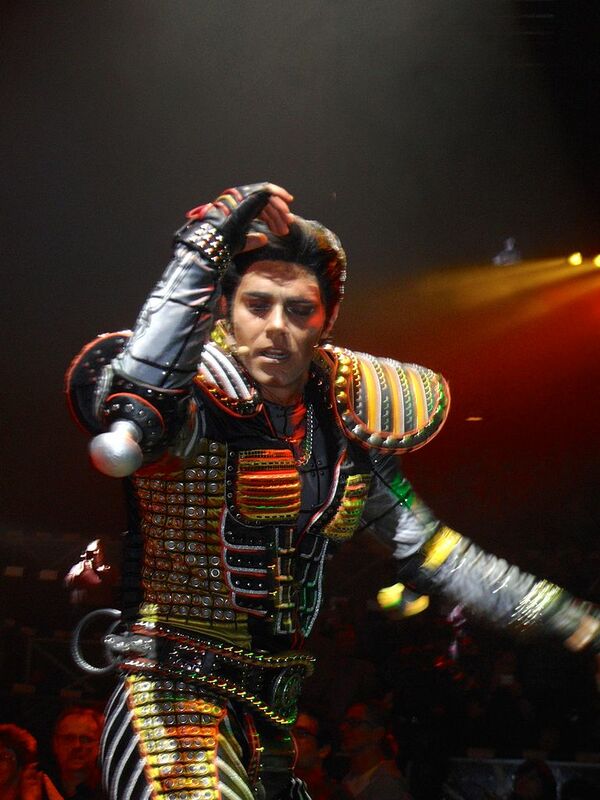 Starlight Express has been off on tour around the world since then and there was a notably successful German version. There’s even been a version on ice. But that was never going to work. Trains have wheels, roller skates have wheels. Stands to reason. But skates? Eh? That’s toboggans you’re thinking of. 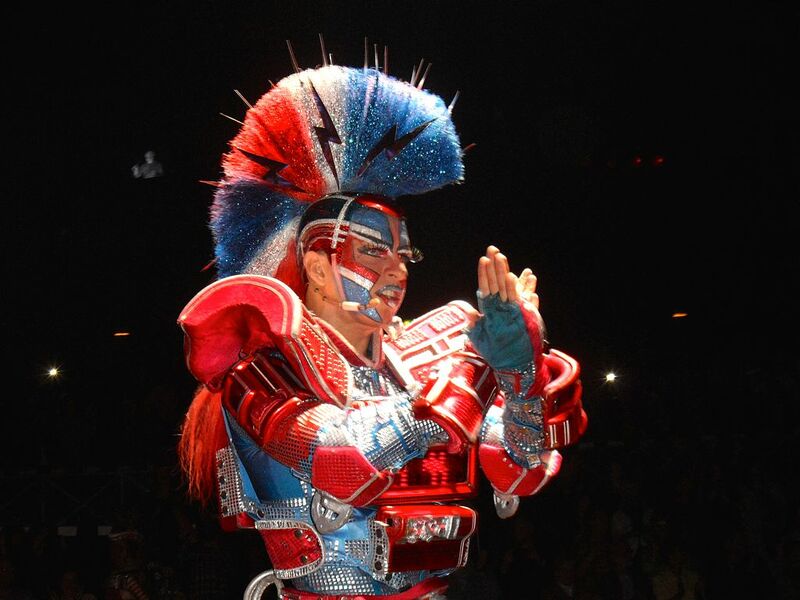 All right, so Starlight Express didn’t herald a rash of musicals and plays about transport. But it’s still one more musical than most industries have managed. So there. And I think probably the next big train play was David Hare’s The Permanent Way of 2003, which was excoriating and depressing in equal measure, unlike Starlight Express with its chipper message and sing-a-long songs. So it got a lot right. With each production, the format of Starlight Express has changed somewhat. Race heats have been condensed or omitted, characters have been dropped and new ones introduced, and some of the songs have changed. But at the end of the day it’s still a full-tilt (APT/Pendolino pun permitting) musical about trains, with actors on roller skates in remarkable costumes pelting round, over and through the audience, depending on the exact staging in use at the time. Brilliant. If after that you still don’t buy into The Beauty of Transport’s proposition that transport has had a uniquely significant impact amongst other industries on culture, you probably never will.